Goodreads: If Nick Stone wasn't so desperate for his American citizenship, he probably wouldn't have agreed to do this one last job with the CIA. But Carrie is over there and he simply can't refuse the chance of a new life with the woman he loves. Its hard to believe I've finished book 5 already! I love the way the story feels like one continues sort not multiple different books they lead in to each other so well! Nick is desperate to get his American citizenship to be with the woman he loves Carrie, desperate enough to do one last job! It was simple enough go to Algeria carry out an assassination and bring back his head. But Carrie's dad isn't going to give him his American passport that easily and he finds himself on another job in France. Far from the beautiful cafes Nick is thrown in to the world of drugs, on a mission to stop money been moved out the country, him and his team most track down the sources and bring them in for questioning, but when one of his team is captured the mission takes a dramatic turn! Will Nick and his team get out of this alive? Like every other book this has been action packed! What i liked a lot about this book was it was still fast paces but it wasn't the case that Nick just got beat up constantly, a lot of the book was spent plotting and planning and although i didn't like that in another book i enjoyed it in this one because Nick and his friends were constantly moving and spying and it was exciting! I enjoyed the story and like the other books it was well written and captivating! You will be happy to no that in this book i got a feeling that Nick's life was getting back on track! I think he realises that he doesn't need to get away from the firm, that is what he is good at and this job has given him something to be proud of, he also realises that he doesn't need Carrie's dad. I hope that he sorts things out with her i want a happy ending! I also liked that he has the closest thing he's going to have to friends! 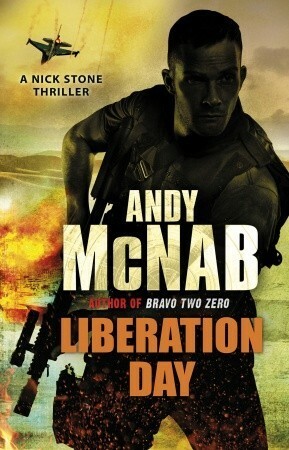 If you haven't read an Andy McNab book then do it! Remote Control! read it now! !